Over the past years, tablet sales has become largely extensive. 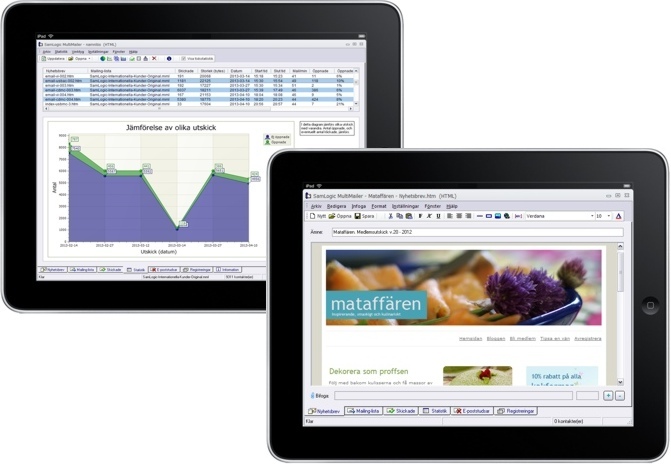 In many countries there will soon be a tablet in every household, and tablets are also used at work to a great extent. Tablets definitely have many advantages, but also some limitations. One limitation is that you cannot run a full-fledged computer application on them; you can only run simple apps. This applies to all tablets with the exception of Windows tablets that have a full Windows desktop version installed. These tablets are nowadays the only ones that allow you to run a full-fledged computer application. The rest, for example Android tablets, iPads or Windows tablets with Windows RT, are limited to simple applications only. However, there is a way to get around this limitation. The solution is to use a remote control program such as TeamViewer that helps you to connect your tablet to a desktop computer or a laptop via the Internet. In this way, your tablet can act as a terminal and you can use all the computing power of your desktop computer or your notebook. Remote control allows you to remotely access your desktop computer or laptop and view your computer’s screen in the exact same way as you are used to on your tablet instead. Attach a keyboard and a mouse and you turn your tablet into a small laptop. With a high speed Internet connection, you will not even notice any difference in running applications on your tablet. It will feel exactly as if applications would be running directly on your tablet. 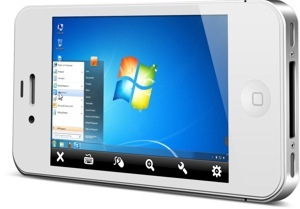 The big advantage of a remote control program such as TeamViewer is that you can use your Windows applications even on tablets with Android and iOS operating systems. It means that even if you have an iPad or a Samsung Galaxy Tab, or another Android tablet, you can still use your Windows applications. Just to be clear, you cannot actually run a Windows application directly on those tablets but a remote control program will give you that feeling. n A tablet is usually easier to carry around than a laptop. Using a remote control on your tablet allows you to easily access your Windows applications when you are traveling, out of your office or home or just out and about for some reasons. Even though you might find it easier to work with a keyboard and a mouse at hand, the point is that you can access your Windows applications wherever you are. Moreover, tablets offer you a keyboard directly on the screen and you can use your fingers instead of a mouse. In case of a too small item or view, you can just zoom in a part of the screen before clicking to make sure that you click on the right object. n Another advantage of using a remote control software on your tablet is that there is no need to carry around sensitive data or documents when you are traveling. Your data can remain safely at a computer at your work or home. By logging out from the remote control program, you make sure that nobody else can access your data even if your tablet would end up in the wrong hands. A password is always required to log-in to the remote control program so without it, nobody will be able to access your data. To increase your security, you can even change your password as often as you like. A tablet cannot completely replace a laptop, but in certain situations a tablet is preferable over laptops. Tablets’ small size and low weight make it very convenient to carry them around when you are outside your office or home. Remote control a Windows applications from a smartphone? It is even possible to use a Windows application on a smartphone with the help of a remote control software! You can achieve this by using a remote control program like TeamViewer. Of course, smart phones’ relatively small screens do not make it comfortable to work for a very long time but it can be very useful in emergency situations. We have constant access to our smart phones, carrying them around all day long wherever we go. Now it is also possible to turn this into a constant access to your computer as well, and all Windows applications on it! For users of our e-mail marketing tool MultiMailer, the remote control function opens a whole new world of possibilities. It allows you to do an e-mail dispatch or check the results of your latest e-mail dispatch, for example statistic over the number of opened newsletters, directly on your tablet. You can also create simple newsletters or update your e-mail contact lists using your tablet computer. In the same way, you can also use MultiMailer on your smart phone. You can check if an e-mail dispatch has been finished successfully or view a summary over your latest e-mail dispatch, directly on your smart phone! In this article we refer to a remote control program called TeamViewer. TeamViewer is an easy to use program that allows you to access computers remotely. TeamViewer is available in both free and paid versions. A major advantage of TeamViewer is that it works with all possible types of devices available on the market today - i.e. desktop computers, laptops, tablets and smart phones. You can run TeamViewer everywhere, no matter what operating system you use; Windows, Android, iOS or Mac OS X etc. TeamViewer works on all of them. Read more in this article.